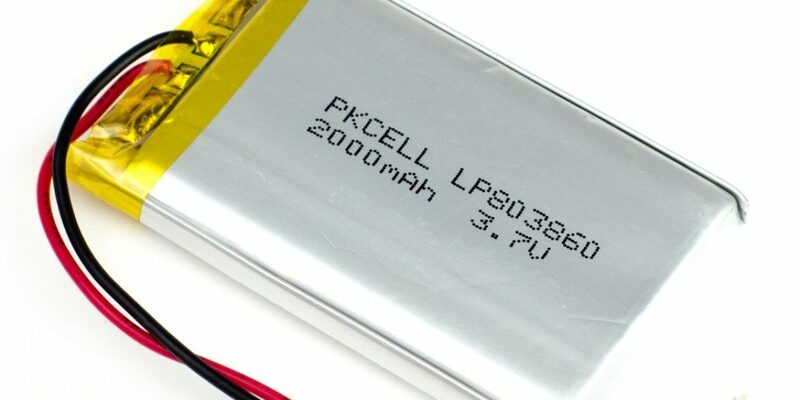 There are several terms you should learn (and know the difference) when it comes to LiPo (Lithium and Polymer) batteries. The DataSheet of each battery usually informs its specifications using these terms, so it is important to know what each one means. 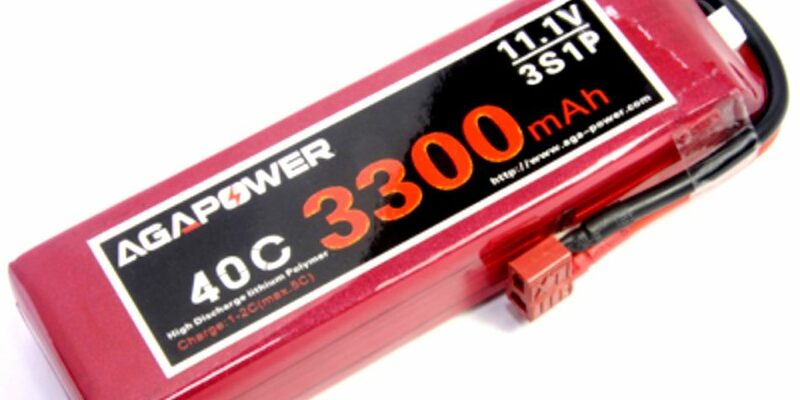 Important: Each “cell” of a LiPo battery have nominal voltage of 3,7 Volts. It is usually described in the formed “xSyP”, where x and y are integers. This information tells you how many cells the battery have, and how they are organized. Batteries are made of cells, and the voltage is determined by the amount of cells in series or in parallel. “S” means series. So 2S means that it is a two-cell battery connected in series. 3S are three cells in series, and so on. “P” means parallel. So 2P means that there are two cells in parallel. By adding cells in series, the total voltage of the battery increases, and by adding cells in parallel, the total capacity (amperage) of the battery increases. It is usually described in “mAh” (milli-ampere hour) or “Ah” (ampere hourly). This determines how much energy your battery can hold. Usually, the higher this number, the bulkier and heavier the battery, on the other hand you have more power available, so you can fly longer. 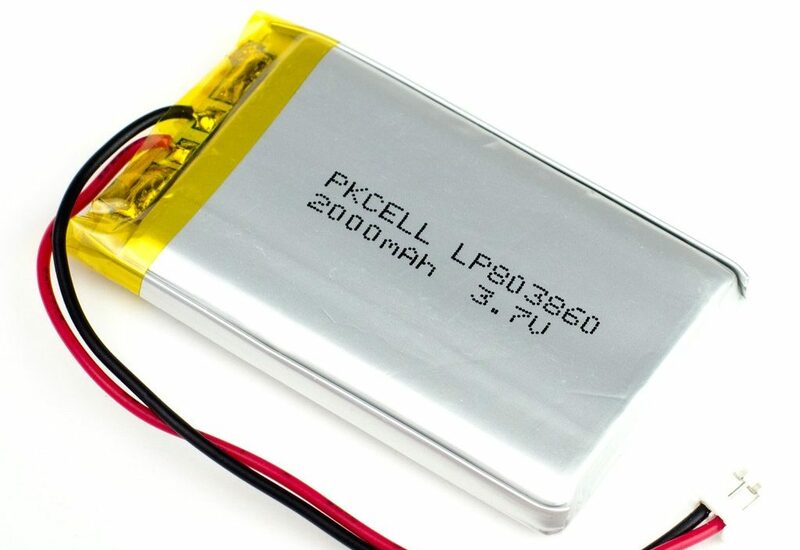 A LiPo cell has a rated voltage of 3.7 Volts. When fully charged, the voltage is 4.2 Volts, and when fully discharged, the voltage is 3 Volts. Note: All the battery capacity is included in this range of 4.2 to 3 Volts. So depending on how many cells in series your battery has, its voltage will be different. Remember that this is the NOMINAL voltage of the battery. However, the battery voltage changes as you use it. A 3-cell battery for example: When fully charged it has a voltage of 12.6 Volts, and when fully discharged, 9 Volts. The constant discharge rate always appears as a number preceded by “C”. It tells you how many amps your battery can deliver steadily. This number is directly related to battery capacity (Ampere-Hour). For example: A battery of 2Ah (or 2000mAh) that is rated with a discharge rate of 35C can provide steady up to 70 Amps, as 2 * 35 = 70. Remember: Ampere / hour is a measure of capacity, and Ampere is a measure of speed. In this example the battery can store up to 2 Ah, but it can deliver up to 70A steadily. 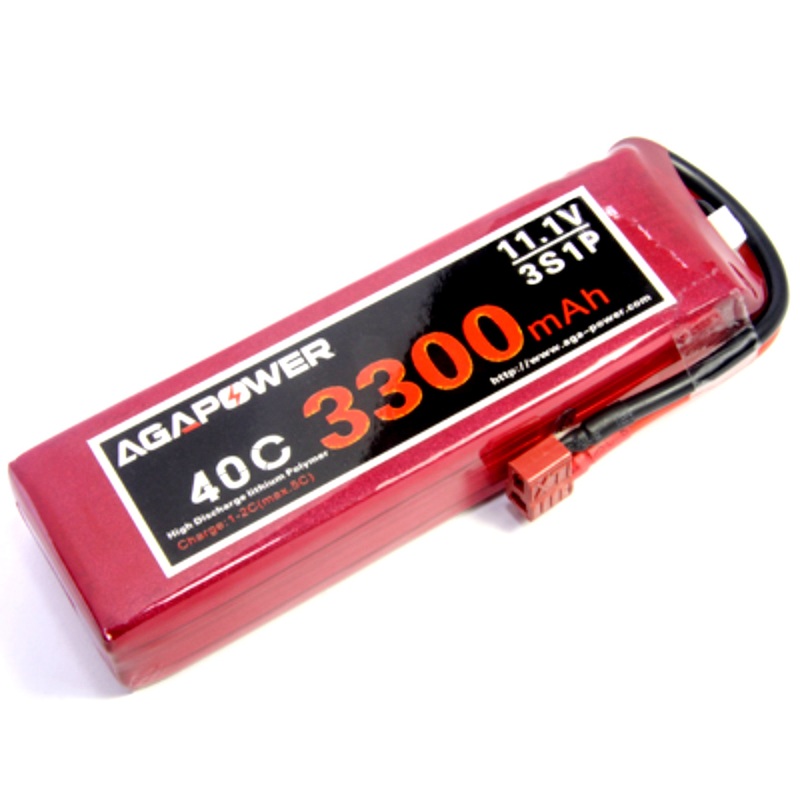 If your model aircraft consumes – at most – 70 Amperes, then your 2Ah 35C battery will be able to power it. But if it consumes more than the battery manages to provide, then the battery at some point will fail to provide the necessary power. It is an “additional” discharge rate. The battery can deliver this peak discharge for only a few seconds. If the model continues to require more energy than the constant discharge capacity, the battery will become hot and may be permanently damaged. It is the ability of the battery to absorb energy during the recharging process. The accounting is the same: if you have a 2Ah battery and it will charge it to 2A then you are charging it at 1C. I’ll talk more about recharge in another article. It is a 3S1P battery, it means it has 3 cells in series. Therefore the nominal voltage is 11.1 V.
It has 3300mAh of capacity. It has 40C of constant discharge rate. The nominal recharge rate is 1C to 2C, and can be recharged to a maximum of 5C. Knowing this, you can calculate the maximum consumption of the model for this battery: 132 Amperes (therefore 3.3Ah * 40C = 132A). Não, elas somam apenas a capacidade. A descarga em relação a capacidade vai se manter a mesma (10C), porém a descarga em Amperes vai ser dobrada, já que a capacidade é dobrada. Exemplo: Bateria Multistar de 5.2Ah 10C. Uma bateria vai conseguir fornecer até 52A de forma constante. Duas baterias em paralelo vão conseguir fornecer 104A de forma constante (pois 5.2Ah * 2 baterias = 10.4Ah, e 10.4Ah * 10C = 104A).